I confess to not much liking spiders. If they stayed outdoors I’d feel a lot more benevolent towards them, but when they come inside and scurry about like they own the place they make me distinctly edgy. But even I acknowledge that they do make very beautiful webs. 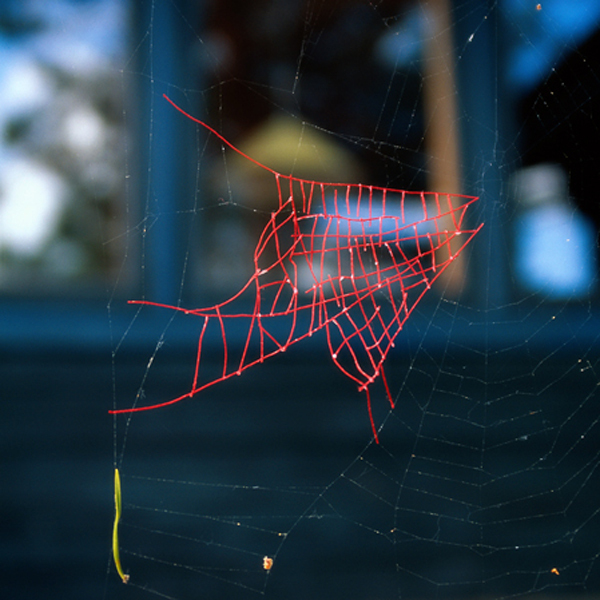 In her Mended Spiderweb series – part of a large body of work called Uninvited collaborations with nature – Nina Katchadourian has helped out by patching up damaged spiders’ webs with fine red thread. The results are not only very beautiful, they are also unexpectedly interesting. The series was made in a six week period in a forest in Portugal. 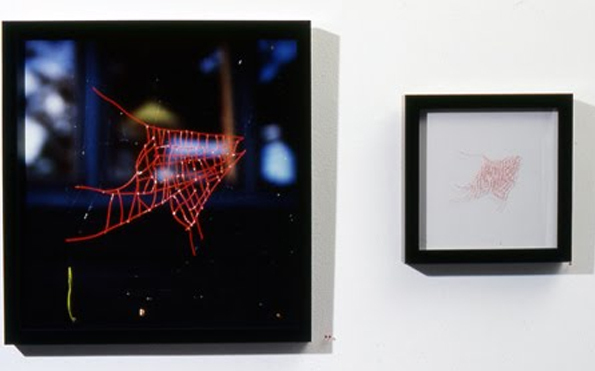 Katchadourian sought out broken webs and mended them piece by piece with red thread, dipping the ends of the thread in glue if necessary to get them to stay in place. The day after the first mended spiderweb she noticed that the spider had fixed the web itself discarding her patch in the process. As the work continued, several of Katchadourian’s patches kept their form on falling from the web. These were dispayed alongside the relevant photographs. 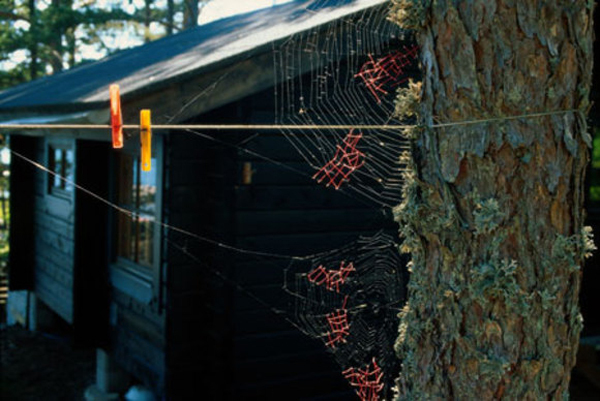 This series appeals to me both because of the aesthetic qualities of the photographs and because I am easily charmed by work in which a level of obsession has played a significant role which seems to be the case here given the concentration and precision that must have been required to produce the web patches. That the work was made in a forest adds to the enchantment of the piece. 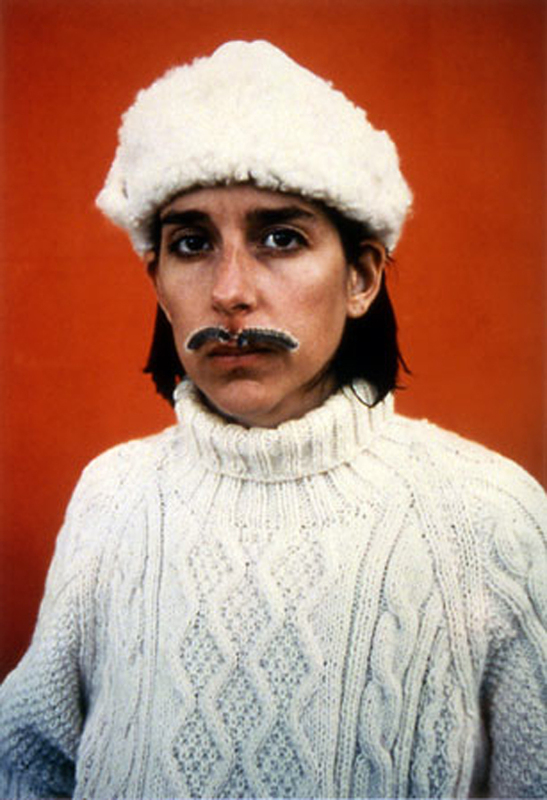 For another of Katchadourian’s Uninvited Collaborations with Nature, her Natural Crossdressing self-portraits, the artist poses with two caterpillars as a living mustache. There is a ridiculousness and a simplicity to these that really appeals to me and the photographs amuse every bit as much as I’d expect them to from that description. 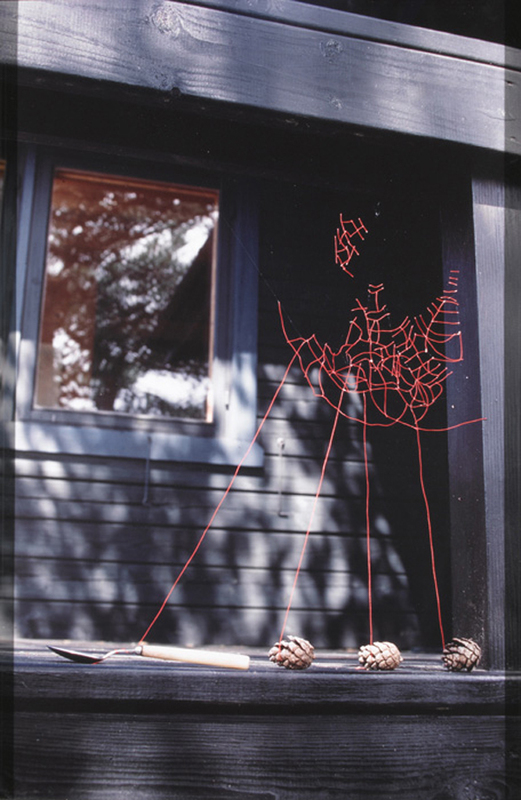 This entry was posted in Intervention, Photography and tagged art, installation, intervention art, Mended Spiderwebs, Nina Katchadourian, photography, Uninvited Collaborations with Nature by Ann Jones. Bookmark the permalink.